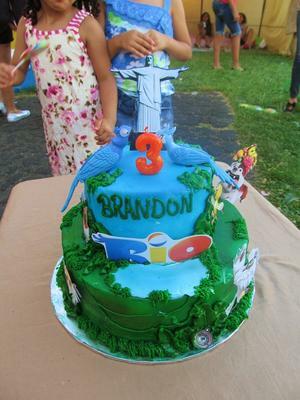 In June 2012 i celebrated my son's #3 birthday party (RIO THE MOVIE). It's so hard to get rio stuff that i printed all the caracters in my printer. 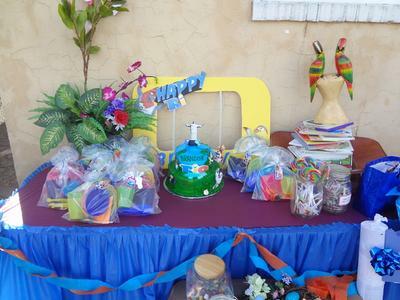 The cake had pictures of the movie as part of the decoration and made a Blue modern invitation. Zip bags as goody bags with tags with the kids name, full of table utencils for the summer(spoon, fork, nife, cup, plate from IKEA)and a beach bag (the parents are tire of candy). I also made a charmer with diferents tags (the kids name, my son's picture, the Rio logo and a beach umbrella) to identified them. 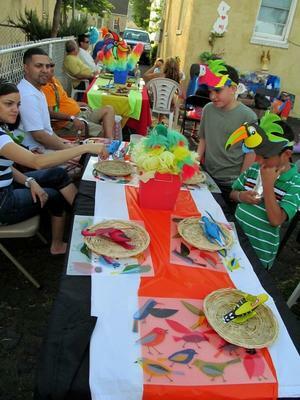 Beach balls as center pieces, a Bamboo nest with garden birds for the kids and a bird placemats. a bunch of umbrellas around the fence and paper flowers. The only candy in the party where easter eggs full of jelly worms in a huge nest for the kids to take.For the party food i served Mini burgers, tacos, chicken croissants, tuna sandwish, hot dogs, potatoes ships and pasta salad. The boys loved there bird hads that i got from my trip to cancun days before. The girls had flowers head bands in there hair for the party. I made a bird cage as a portable photo booth. 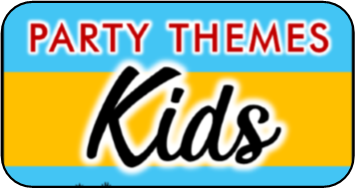 Really an amazing & inspiring article about kids Rio theme party and its proper celebrations as well. 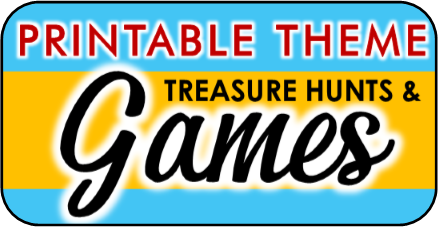 Simply type rushessay in world famous search bars and get out standing educational sites links.